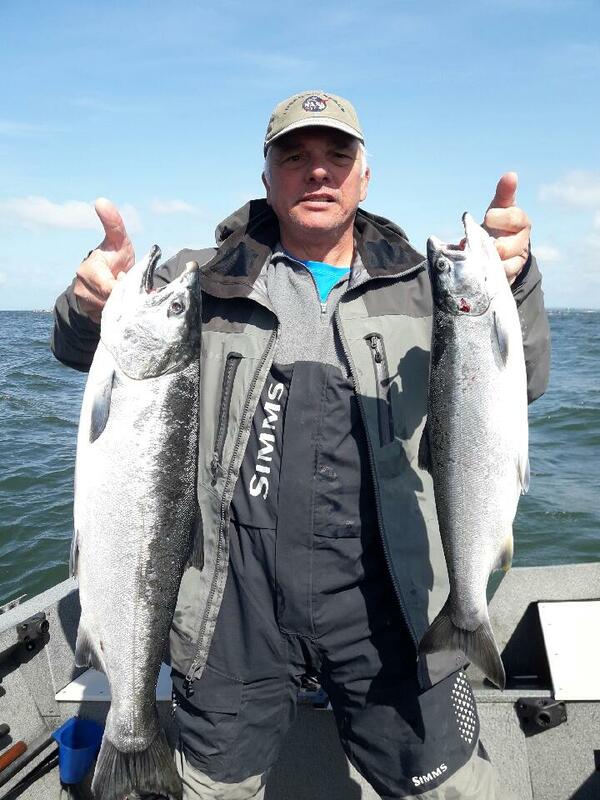 The spring Chinook season on the Columbia River is beginning to take shape. While not official yet it looks as if fishermen will get a 38 day season from the I-5 Bridge to the Bonneville Dam with a single hatchery Chinook daily limit. Anglers would get to fish for springers from March 1 through April 7 if the season is adopted at the Feb 21 meeting of the Joint /State Compact in Portland. Below the I-5 Bridge the season has been open since Jan. 1 with a two-fish limit. 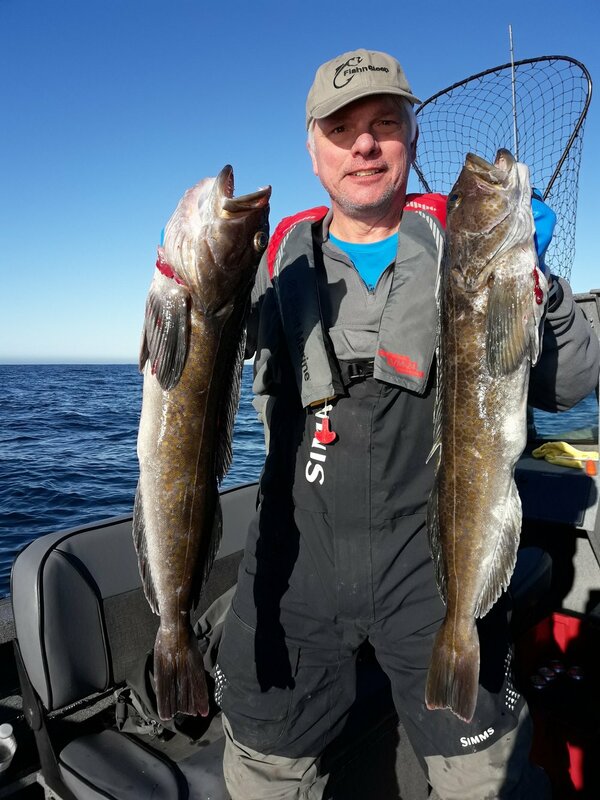 The limit is reduced to a single Chinook starting March 1, and the season will run through April 7. The bi-state Columbia River Recreational Advisor Group held it’s meeting on Feb. 13 at the Oregon Department of Fish and Wildlife offices in Clackamas, Ore. 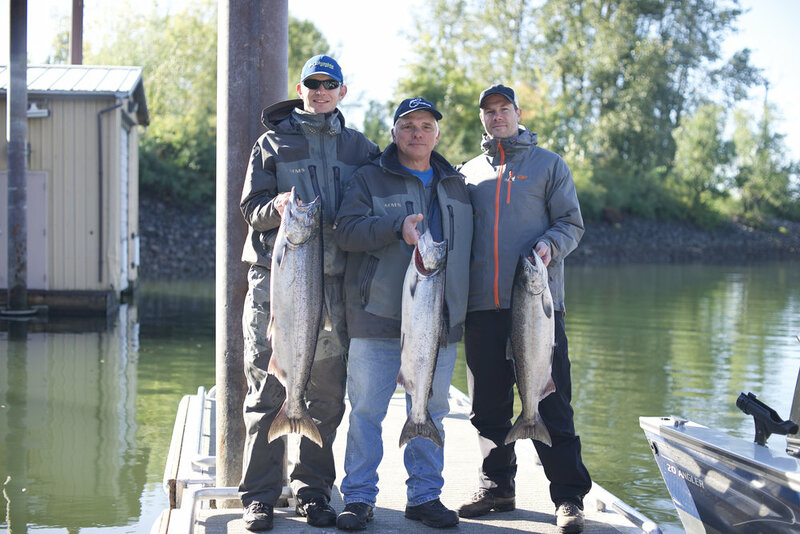 The group contemplated different options for the Columbia spring Chinook seasons. A total of 248,000 spring Chinook are expected to return to the Columbia River this spring. A run of 166,700 spring Chinook is forecast to enter the Columbia River destined for waters upstream of Bonneville Dam. Predictions are for another 81,020 adult Chinook to return to the lower Columbia, including 53,800 for the Willamette River and 4,600 for the Sandy River, both in Oregon. For the Washington lower Columbia tributaries the predictions are 5,150 to the Cowlitz, 1,450 to the Kalama and 3,700 to the Lewis. Under the state, federal and tribal management agreements, guidelines and catch buffers, sport fishermen downstream of Bonneville Dam are expected to keep 8,400 adult Chinook. The states will update the run projection during the season, and depending on returns may upgrade or downgrade the size of the run. The season could be shortened or lengthened depending on how the run comes in. Other options considered included keeping the season open until April 1, and then allowing fishing on Wednesdays and Saturdays for a four-day April season. Another option would be no season in March with a 12-day season in April. The members of the group listened as ODFW and Washignton Department of Fish and Wildlife staff reviewed the results of the 2017 season, which was beset with difficulties. 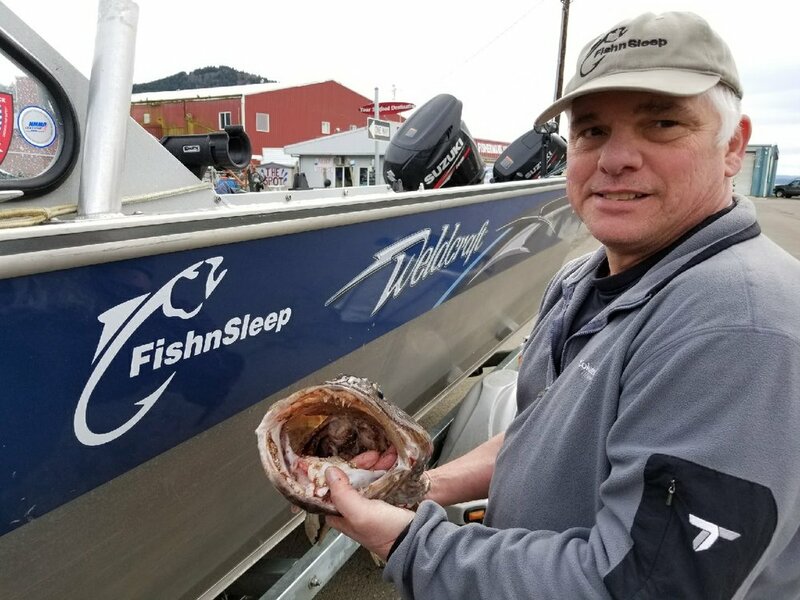 High water and poor fishing conditions in the Columbia made for slow catches, combined with the fact that the 2017 run was the latest return on record. This complicated efforts to allow fishermen to get their quota. Managers were forced to add a number of fishing days in April. Last year’s season was initially set to run from March 1 to April 6 with a one fish limit above the I-5 Bridge. Below the I-5 Bridge the season was open from Jan.1 and ran until April 6. The daily limit was two adult Chinook from Buoy 10 to the I-5 Bridge until March 1, and then it was reduced to a one fish limit. There was a safety closure at the mouth of the Lewis River because that run was not expected to make its hatchery escapement goal. The Lewis River run eventually came in much stronger than expected, which allowed some spring Chinook retention in the tributary itself for the first time in years. A decision has yet to be made as to whether the closure will be in place again this year. Poor angling conditions in 2017 resulted in very low effort through March. Joint state hearings held in late March through mid-April extended the season to include April 7 through 10, 13 through 17, and 20 through 23 to allow additional opportunity as conditions improved. Chris Hyland of Walla Walla complained about the way the strange run played out, which gave anglers upriver almost no fishing. “What will you do to make sure that doesn’t happen again? ” He asked. John Tucker of the ODFW replied that the 2017 season was an anomaly. Robert Moxley of Dundee, Ore., asked if there was any chance the barbless rule on the main stem Columbia would be lifted. He explained that the rule was tough on anglers that lacked experience with fishing barbless, and they often lost their fish right at the boat. State agency staff said the rule would probably remain in place. From Bonneville Dam to the state line anglers should see a season from March 16 through May 6 with a one-fish limit. The season for the Snake River fishery will be determined later. The outlook for Columbia River summer Chinook is similar to last year. The pre-season projection is for 67,700 adults. That is very close to the 2017 run of 68,204. Downstream of Bonneville Dam the season should run from June 16 through 30. From Bonneville to Priest Rapids Dam the season could run from June 16 to July 31.